Teddington Park - Royal LePage Real Estate Services Ltd.
Teddington Park formed the northern boundary of the City of Toronto in 1912. 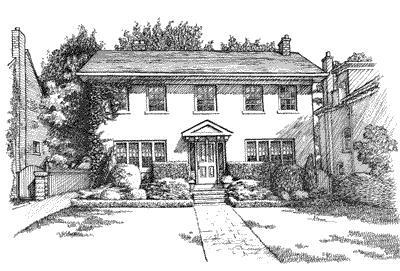 That same year, separate plans of subdivision were registered by two prominent Toronto businessman: Nicholas Garland and Robert Dack. These plans led to the eventual building of homes in Teddington Park. Teddington Park's development as a high-end residential district was inspired by the Rosedale Golf Club, which had moved from Rosedale to the Teddington Park area in 1909. Teddington Park's older houses on Riverview Drive were originally given descriptive names such as 'Donnybrook', 'Silverwood', and 'Treetops'. These names were in lieu of municipal addresses, which were not issued until some time after the houses were built. Some of these houses still display their historical names.